Dennis Wilkins has his say. Over the last few years, several people have written in Sound On Sound about how the limitless possibilities of modern mixing technology and overabundance of tools can stifle creativity rather than enhance it, by providing too many choices and causing engineers and musicians to spend long hours in front of a computer screen rather than recording or playing music. So, this got me thinking — just how many plug–ins do I really need? One was the tedious and lengthy process of loading all the software, and obtaining all the required authorisations from the vendors of the copy–protected programs and plug–ins. This certainly wasn’t going to be a relaxed afternoon’s project! The other issue was my legacy DX and DXi plug–ins. I’d been led to believe that the 32–bit DX format was not supported in Windows 7 or 8. Some of those old plug–ins are in every project I’ve done in the last 10 years! 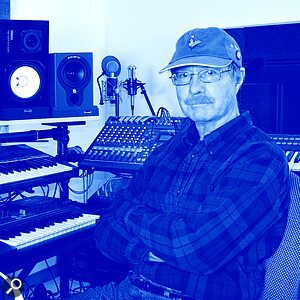 Just for a bit of background, I am not a Grammy-winning engineer with dozens of gold and platinum albums, but an occasional video producer and live-sound engineer who has mixed and recorded many events over the years. I was an early adopter of digital audio–for–video editing, setting up my first DAW in 1992 using a program called SAW (Software Audio Workshop), which was significantly ahead of its time. What amazes me today is how well that system worked running on a Windows 3.1 PC: a mere 16–bit operating system using an 80486 processor operating at a snail–paced 33MHz! So here I am today with a new powerful PC, but what of those plug-ins? A look at my effects library showed I had 510 plug–ins installed in my old system! There were 96 DX/DXi plug–ins and 414 VST/VSTi plug–ins. I decided to estimate how many of these I regularly used, and reviewed several old and recent projects. I found I used about 40 different plug–ins, although not all in one project! There were another 100 effects, give or take a few dozen, that I had tested over the years and noted as potentially useful. That still leaves 370 plug–ins that I’ve never even used filling up my various folders. I noted that three of the effects I used on almost every project were 32–bit DX plug–ins. I was going to miss these old (and still useful) stalwarts, but as luck would have it, a friend suggested my old 32–bit DX plug–ins would run fine along with the 32–bit version of my DAW (Reaper) if I installed them from scratch. Unlike VST plug–ins, which can be moved around like jelly beans — at least the ones without copy protection — DX and DXi plug-ins must be installed so that they appear properly in the registry. This required using original program discs from some back versions of old DAW software. To my surprise, it worked perfectly! In 30 hours of intense and tedious effort, I installed all my programs and plug–ins — at least the plug–ins I decided to keep active. I didn’t totally get rid of the excess ones, though: they are saved in a folder called ‘Old Plugs’, but they are no longer visible in my Reaper effects menus. So, will my streamlined studio result in a Grammy nomination? Not likely! But it should encourage me to work with fewer distractions and to concentrate more on the music itself, rather than spending hours trying out 45 compressors or 46 EQs! Dennis is a retired design and test engineer, an international reliability consultant on hardware and software design, an occasional videographer, a frequent photographer, and a life–long music/audio fanatic.